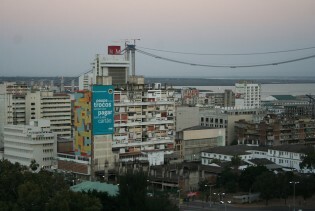 The rising Maputo-Catembe Bridge is a hard-to-miss addition to Mozambique’s shoreline. Recently a very interesting article on why there are inequalities in access to health care and how medicine prices are beyond the reach of many people was published in The Lancet, one of the most prestigious medical journals in the world. As American lawmakers and the Trump administration prepare the ground for introducing a border adjustment tax, many controversial issues have emerged, including whether they go against the rules of the World Trade Organisation (WTO). A new and deadly form of protectionism is being considered by Congress leaders and the President of the United States that could have devastating effect on the exports and investments of American trading partners, especially the developing countries. The latest report by the World Trade Organisation (WTO) on G20 trade measures shows a slight deceleration in the application of new trade-restrictive measures by G20 economies, with the average number of such measures applied per month lower than at any time since 2013. “Four decades of existence is a milestone for the ACP as an international alliance of developing countries,” Dr Patrick I. Gomes of Guyana, newly appointed Secretary-General of the African, Caribbean and Pacific group of countries, said at the opening of the 101st Session of the group’s Council of Ministers. Since 1971, Maldives is one of only three countries that have graduated from the ranks of the world’s “least developed countries” (LDCs) – the other two being Botswana and Cape Verde. Regional trade agreements have grown very rapidly in recent years, and today the World Trade Organisation (WTO) has been notified that 253 are in force. The steady increase in patent applications and grants that is taking place in developed and some developing countries (notably in China) is sometimes hailed as evidence of the strength of global innovation and of the role of the patent system in encouraging it. The Trans-Pacific Partnership (TPP) negotiations have been hitting headlines recently, but not for all the right reasons. India’s decisive stand last week not to adopt the protocol of amendment of the trade facilitation agreement (TFA) unless credible rules were in place for the development issues of the South was met with "astonishment" and "dismay" by trade diplomats from the North, who described New Delhi’s as "hostage-taking" and "suicidal". The failure of the two major players in global trade negotiations to bridge their differences has put paid to the adoption of the protocol of amendment for implementation of the contested Trade Facilitation Agreement (TFA) for the time being. The world of today is considerably different from the one at the end of the Second World War; there are no more any colonies, though there are still some 'dependent' territories. The “fragility” of the World Trade Organization’s ‘Bali package’ was brought into the open at the weekend meeting in Sydney, Australia, of trade ministers from the world’s 20 major economies (G20). Formal negotiations began this week around the increasingly significant global trade in “environmental goods”, those technologies seen as environmentally beneficial, including in combating climate change. African countries are coming under strong pressure from the United States and the European Union to reverse the decision adopted by their trade ministers to implement the World Trade Organization’s trade facilitation agreement on a “provisional” basis.